Immersed in water, it can empty ﬂooded rooms, i.e. 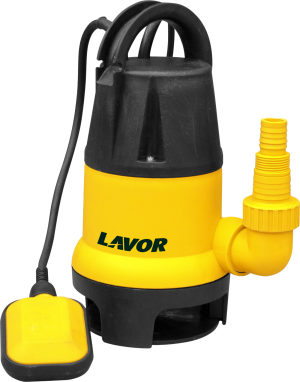 basements or garages, ponds or any other tanks containing dirt water. Equipped with a floater for automatic start and an handle for transport.